We are thrilled to have Roy Robinson Subaru Chev in Marysville WA & Alpine Buick Gmc in Denver CO signed up for "Oil Change" great deals on service for your car. If you know a shop out there that woud like to ar if you think they should sign up let us or them know they can sign up and try it FREE. 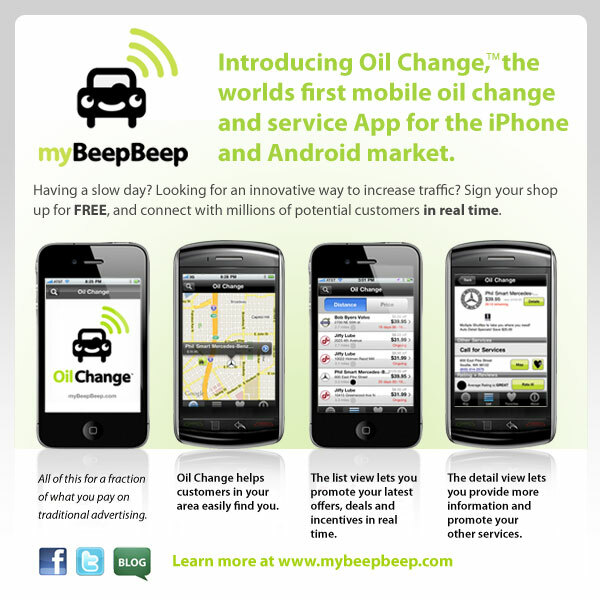 o to our website http://www.mybeepbeep.com/ and go the new shop sign up. We are trying to find the best shops that really get it, that really want to service the customer and give them the ease and convenience of useing thie iPhone to shop and get the bestdeal on Oil Changes and other car care services.